If you’re looking for a great place to enjoy your spring break, look no further than Belize. Located just 2-3 hours’ flying time from major cities across the US, Belize is a small country in Central America. 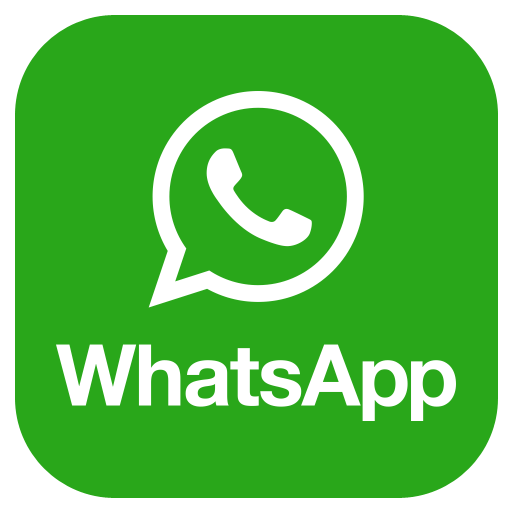 Because Belize is a former British colony, the national language is English, making it really easy to get around and talk to the friendly locals. Belize’s greatest attraction is its untamed and beautiful nature. The mainland is composed of vast jungles, rainforests, mountains, and broadleaf forests that are teeming with hundreds of different species of birds, flowering plants, and exotic animals. Belize has a long coastline on the Caribbean and is noted for its spectacularly beautiful beaches. Belize also has hundreds of offshore islands that form part of the Belize Barrier Reef, the second-largest reef system in the world. Popular activities to enjoy on the islands include beach barbecues, swimming, snorkeling, scuba diving, sea kayaking, windsurfing, fishing, and sailing. The mainland is home to a wide variety of exciting adventures. More than half of the country is protected in the form of a national park, animal reserve, or wilderness sanctuary. The mainland is also dotted with enormous stone cities built by the ancient Maya more than 2,000 years ago, including sites such as Xunantunich, Caracol, El Pilar, and the ATM Cave where Maya Shamans once conducted bloody human sacrifices. Whether you’re interested in relaxing on the beach and exploring the islands or you want to try fun adventure tours on the mainland, there’s no shortage of things to do and see in Belize on your spring break vacation. Belize is also famous for its fresh-caught seafood, live music, delicious rum cocktails, and panoramic views of both the sea and the jungle. 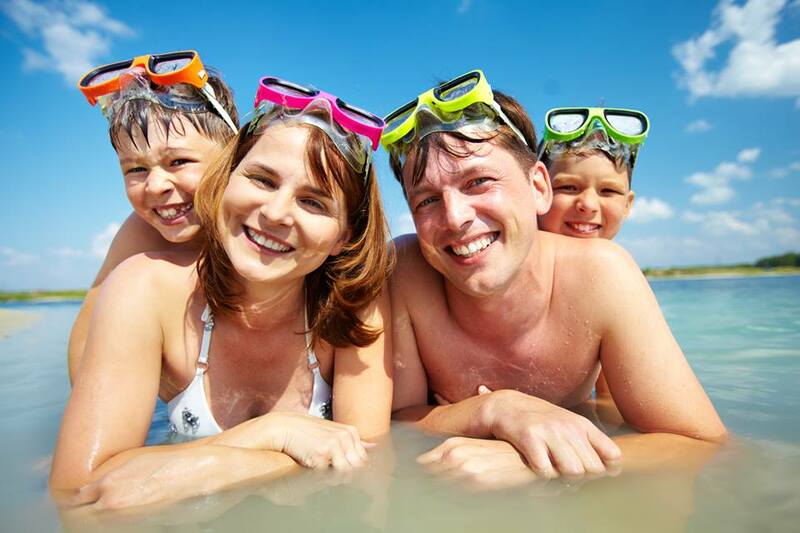 The best way to enjoy Spring Break in Belize is by booking your activities with Barefoot Rentals and Services. 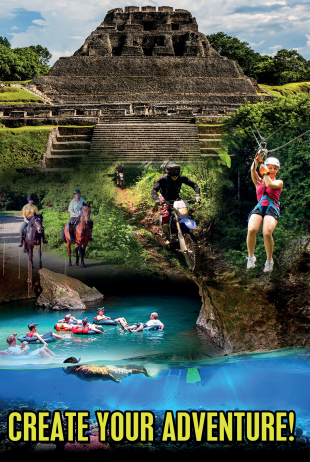 Barefoot organizes tours to all of the top attractions in Belize such as boat tours on the Monkey River, trips to Tikal in Guatemala, tours of ancient Maya sites, hiking tours of national parks, and adventure tours that include activities like zip lining, horseback riding, cave tubing, and rappelling down a jungle waterfall. Barefoot Rentals and Services also rents vehicles, allowing travelers to explore Belize at their own pace. 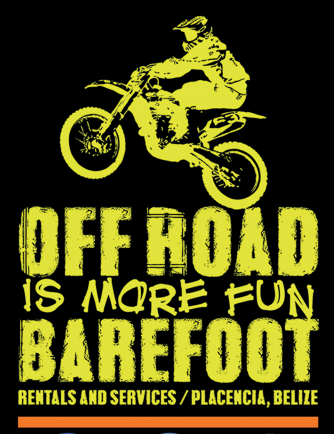 Barefoot Rentals has a full line of SUVs, pickup trucks, dirt bikes, and scooters that are perfectly suited to the rugged terrain of Belize.